I’ve been wanting to visit Shatila Bakery for ages, after seeing so many Instagram friends post pictures of their incredible looking pastries and baklava. 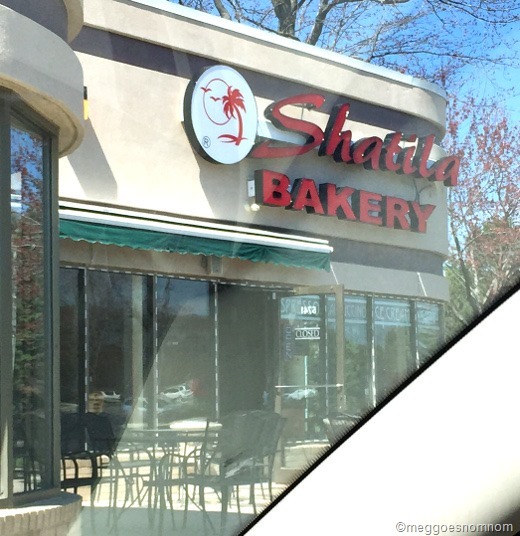 Shatila Bakery is a Middle Eastern bakery with locations in both Dearborn and West Bloomfield. A couple weekends ago, the huz and I found ourselves in the relative vicinity of West Bloomfield, which made for the perfect excuse to stop in for some goodies. If you’ve noticed me offhandedly alluding to lots of “errands” lately, many of them have to do with the fact that we are moving this summer. Our next home is new construction, and we’ve had the opportunity to choose all of the interior and exterior finishes in the home. This particular weekend, we were visiting the granite warehouse to pick out our slabs of granite for the kitchen countertops. I can’t wait to show you after we move! 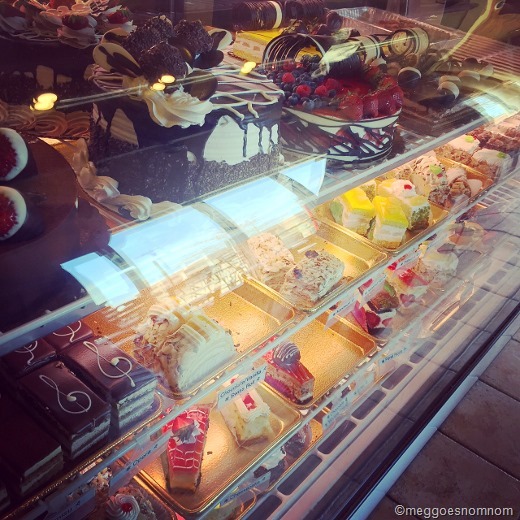 In any case, on this beautiful and unseasonably warm Saturday in April, I somehow resisted the ice cream case at Shatila (I’ve heard nothing but rave reviews for the pistachio ice cream), and picked out a box of pastries to bring home for later. The ordering process is quite confusing to be honest. It took a while to get waited on. I wasn’t sure when or where or to whom I should be placing my order, but we eventually figured it out. It was pretty hoppin’ in there when we visited. 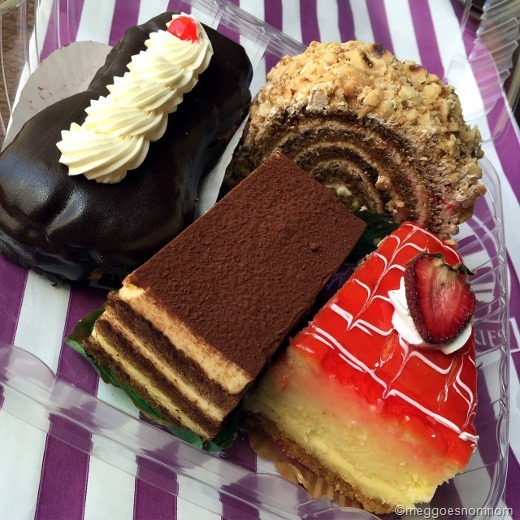 These were all really good, but especially that hazelnut roll. They are works of art! And of course a couple pieces of pistachio baklava. Oh my word, it’s so, SO good! I actually have had their baklava in the past, and should have known to order more than just two pieces! Baklava is one of my favorite desserts, and Shatila’s is excellent. Very glad I finally got a chance to visit! I’d be fun to visit the (larger?) Dearborn store too. 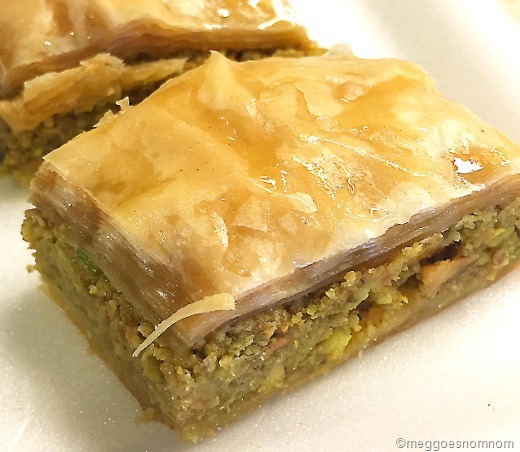 Gimme some more of that baklava. The baked goods look delicious especially the eclair WOW! You are one up on me, I wasn’t even aware that they had a location in West Bloomfield. I have been going to the different shops in Dearborn for at least the last thirty years. Decisions, decisions; should I go South or North?